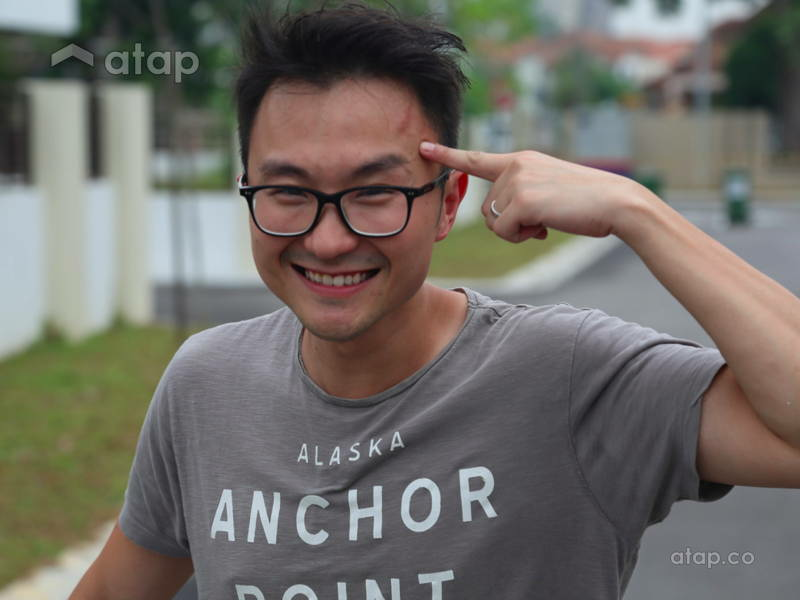 Runner up of The Apartment Rising Star Edition, Winston See talks about the show, challenges and the lessons he’s learned. The reality show contestant who runs his own interior design firm will explain to you why you should not buy off the shelf furniture pieces if you want a home that feels personal. As a youngster, Winston See delved into the world of The Sim’s and found his passion for building homes. What started out as a game became a platform for him to find his voice through design. 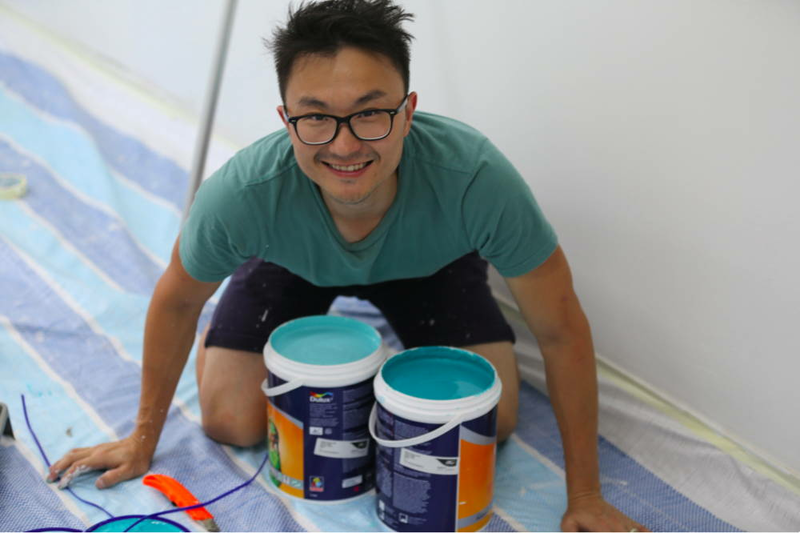 Years on, Winston is not only the runner up of The Apartment’s Rising Star Edition, he is also the creative force behind many projects from residential homes to property designing. With his clients being his biggest inspirations, there is no doubt he is a rising star in the industry today. We caught up with Winston recently as he spoke to us about the lessons he learned on the show and how a life simulation computer game changed his life. How was your experience as a contestant on AXN’s The Apartment? I think it was an amazing experience as a whole. I’m an introvert, so being on set in a production was life changing. You watch all these reality TV shows and you’ll be wondering how things happen and I was able to experience it, it was amazing. What have been the most challenging moments for you on the show? I think the 12 personalities, everyone is so diverse, and different. So there were some people who had strong personalities, it isn’t wrong, but the process of compromising requires strategy and was another challenge on its own, apart from the design work. I didn’t quite know how the show worked so we assumed there would be a handy man on set to help with the work. Boy, were we wrong! We only had 15 hours (per challenge); we underestimated the time and had to be all hands on deck but it got better after a few episodes. What was the biggest or most valuable lesson that you gained from the show? I think the judges constantly challenge us to go out of our comfort zones. I learned to pursue new ideas, think outside the box and have fun with it. In terms of design philosophy, nothing was really different but I’m grateful for the other contestants who have become friends. In one of the episodes, we saw you and your team build a custom shelving unit to specifically fit the your client’s style. Do you believe in implementing the same idea as an Interior Designer, creating custom pieces that reflect your clients? It’s something we (Paperspace) have done prior to the show. We custom make units and furniture pieces for our clients because we believe all these little details will contribute to providing a really cohesive space for our clients. If we buy off shelves, they’re not personalised. By making custom or DIY units we can really showcase the personality of the clients in their space. Apart from The Sims, what has inspired you to take on this role? I believe clients are my biggest inspiration. I will give my input as a designer but I look at every project as a collaboration. I take a step back and actually listen to my clients’ stories and I put that first. As an architect and interior designer, how would you describe the style of your work? Coming from an architectural background, I think my work is steeped in context. That is when you actually study the site, where the house is, and what the site offers in terms of weather, view, and such because that impacts your energy consumption and the way you design the space. That’s when my interior design experience comes into play, you start putting in the personality of the client as well. So that’s my style, context, and personality.